A polo tie with horse and polo riders with mallet. Red Polo Players Necktie. A top quality, luxury silk faille tie with multiple polo players on horseback with mallet in swinging pose in stitched motifs on a red tie. Made from the finest English silk. 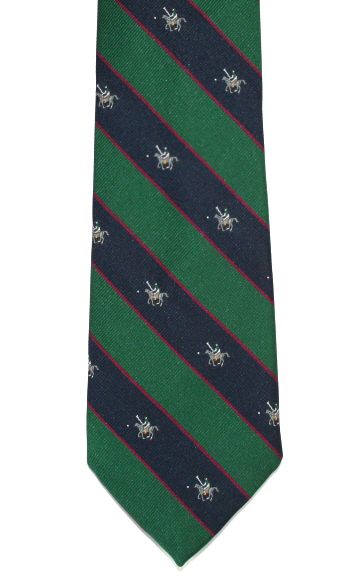 Green Polo Players Necktie. A top quality, luxury silk faille necktie with multiple polo players on horseback with mallet in swinging pose in stitched motifs on a green tie. Made from the finest English silk.